Krissi's Art Studio: Sweet Relief! That phrase, sweet relief, has a double meaning for me today. 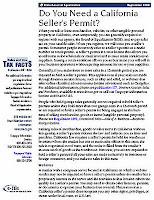 Firstly, my California sales tax return is completed, filed and paid! Woo Hoo! (I'm riding a high, so we won't mention the income tax return preparation yet.) As my eyes swept over ALL of last year's activity on a single page, I realized that my art sales finally hit the tipping point in 2009. There were two noticable jumps - the first happened around April when I moved from MySpace to facebook. Coincidentally, this first jump happened four years to the month since I started working full time on my art. The second jump happened in August when I moved my online shop from Etsy to Artfire. And while I have been working diligently (read as 'whoring my art out') and using social networking to the fullest extent I can, the bulk of the thanks goes to others. Namely, to my very supportive husband, Ron, Skelekitty and, of course, each and every one of you whether you have purchased art, gone to a show, read a single blog post or even just mentioned me to a friend. Without you, none of this would have happened, so THANKS! Oh, and Skelekitty says to take the rest of the afternoon off (she's a troublemaker, that one). 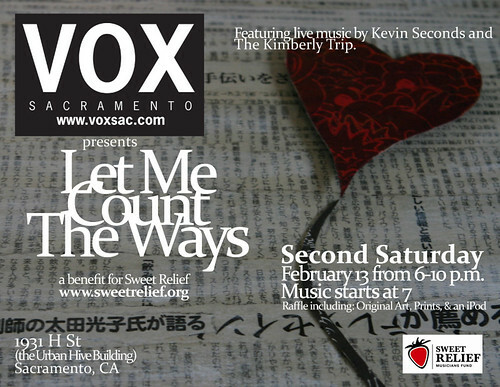 Secondly, "sweet relief" reminds me that the Let Me Count The Ways art exhibit at Sacramento's VOX Gallery is fast approaching on Saturday, February 13. 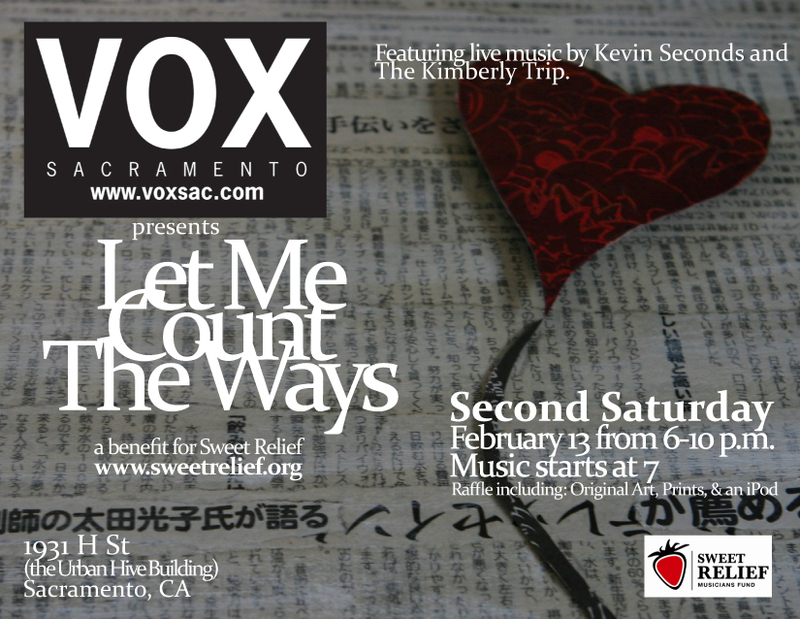 This event will feature and art exhibit, music and a raffle to benefit for (wait for it...) Sweet Relief Musicians Fund, which provides financial assistance to all types of career musicians who are struggling to make ends meet while facing illness, disability, or age-related problems. Music will be provided by Kevin Seconds, The Kimberly Trip and David Houston (and I have heard a reliable rumor that Allyson Seconds may also be singing that night). Raffle tickets are a mere $5 each and get you a chance to win original art, jewelry and prints (like a photo of The Clash taken by Sacramento photographer John Muheim). They will even be raffling off an iPod Touch preloaded with music by our own Kevin Seconds. And of course, since VOX is a gallery, original art by over 35 artists (wow!) will be plentiful and available for your viewing and collecting pleasure. 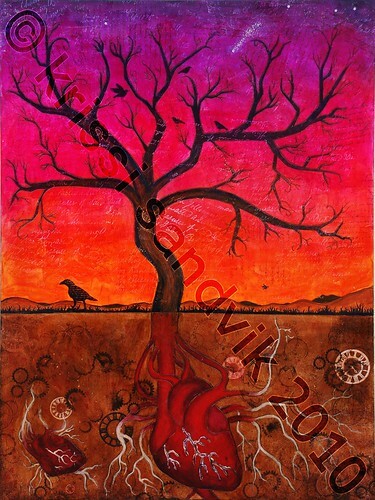 I'll have several pieces there, but I'm particularly excited about my newest piece called Old Growth. It is an 18x24" pyrography & mixed-media on cradled hardwood artist panel, which is the largest piece I've done to date. If the price tag of an original piece isn't in your budget this month, you can always order a print from my Artfire shop or pick one up at the show. I sure hope to see you there! Oh, and if you win one of my prints, ask me to sign it for ya!